Only a few weeks in and 2019 is already looking like an exciting year for CSWPC’s Water Polo players. After an amazing 10 players from CSWPC were selected to play on the various South West teams at the U14’s Inter regional competition held in Walsall back in December. 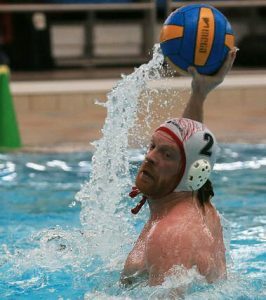 It was good to see their success continue at the recent Winter Water Polo Festival held in Manchester. 20 teams attended the tournament which meant it was going to be a long day. Cheltenham convincingly won all their matches in their group. At the play offs they faced the winners of the other group which was a much tougher game but with excellent team play both in defence and attack the now confident U14 team earned their place in the final against Bolton School. The final was a very tense affair and at full time the teams drew 2-2. This meant they had to go to a penalty shoot out which unfortunately Cheltenham lost 3-2. It was a stunning day of polo for the young team who continue their build up to their summer tournament in Hungary. U14’s Team- Liam Barnes, Harry Barber, Arron Downer, Zac Downer, Rex Lewis, Louie McKie, Rosa Todd, Mara Totolici, Michaela Totolici, Alice Tubby, Harrison Walsh, Freya Webster & Thomas Webster. Pictured – Charlotte Martin, Lorcan Halstead, Sophia Fountain, Daniel Day, Gigi Boskett – Williams, Harry Mason & Coach John Spicer. 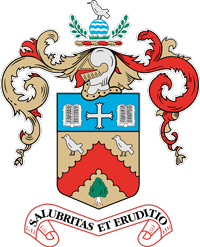 On the same weekend 6 2004 CSWPC players attended National Academy at Northampton School for boys. A grueling weekend of multiple pool sessions, strength and conditioning and testing awaited the youngsters. National Academy is the top 30 boys and top 30 girls identified by the various regions. The players are selected and then scored on technical standards and assessments throughout 2 weekend camps during the year. 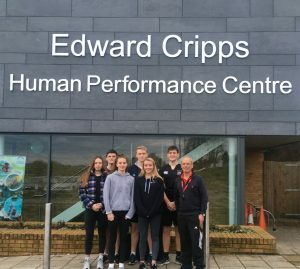 The camps emulate a National Squad environment selected players will then be invited to a five day academy in the summer where they will represent England against junior international teams. Not to be left out the Spartans Water Polo team, CSWPC’s second team in the British League finished their weekend topping the Mens Championship 3 group. They won all three of their matches at Gloucester beating Birmingham, Tyldesley & Bridgefield. Although there are another few rounds to go (February & March) finishing at the top will confirm their place in division 3 for 2019. Currently CSWPC have 3 players in the top goal scorer table Michael Thomas, Adam Legge & William Middleton. Michael is at the top with 13 goals scored just in those 3 games.